Sgt. Kerry Schmidt of the OPP's Highway Safety Division said the idea is to spread awareness of the importance of road safety, draw attention to the high number of transport truck crashes in recent months, and to find trucks with safety issues, such as broken lights, that could cause crashes down the road. The blitz comes on the National Day of Remembrance for Road Crash Victims. 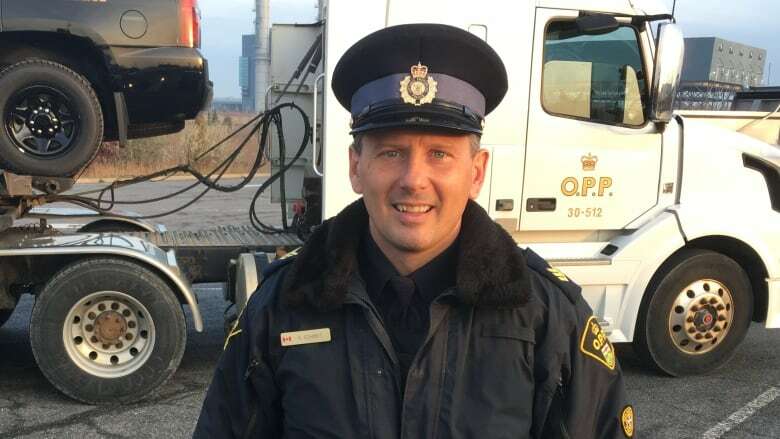 Schmidt rode along in an OPP transport truck on GTA highways on Wednesday morning to see for himself how vehicles are sharing the road. OPP officers and Ontario transportation safety officials are doing safety inspections as part of the blitz. 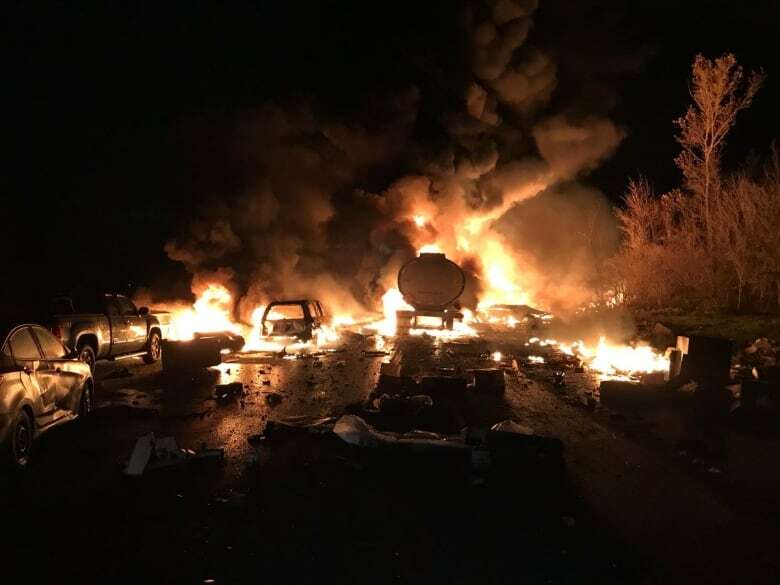 "We've obviously seen some pretty big collisions in the last little while involving transport trucks and the ensuing traffic delays and road closures that come as a result of that. We certainly don't want to see that continue," Schmidt told CBC Toronto. "We just want to get some more awareness out there about the importance of everybody sharing the road. Transport trucks, four wheelers and cars and everyone, they are all trying to make their destinations and deliveries," he said. "We want to make sure we all will get there in reasonable time without unnecessary crashes that affect so many more people than just those involved." 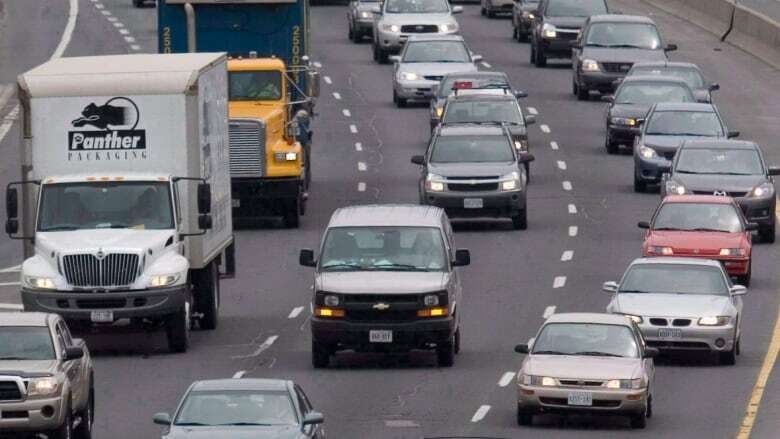 Wednesday's blitz is being conducted out of the commercial vehicle safety inspection scales on the Highway 401 westbound at Trafalgar Road in Milton. He said it is a "local" safety blitz, organized by the Port Credit OPP, for the Highway 401 area. Officers are "all over the area" trying to flag trucks for inspections, Schmidt said. "I don't want to paint a picture saying that all trucks are unsafe," he added. "You look at the roads right now and there are so many trucks out there every single day. We want to make sure the roads are safe. For the most part, we have a great fleet of trucks out on the roads ... making the deliveries and keeping our economy going." Schmidt said it is a fraction of truckers who are taking chances, shortcuts, fudging logbooks and "pushing the limits" and that's when problems arise. 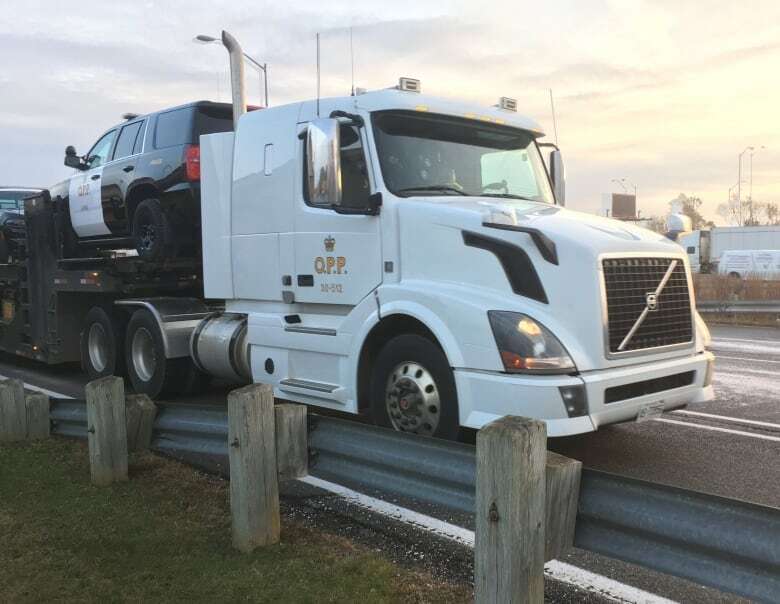 The OPP says it responded to 13,668 crashes that involved large commercial transport trucks in 2015 and 2016. It says 155 people were killed in those crashes. Schmidt said he has advice for drivers: be alert, be attentive, leave space between vehicles. He said one thing that the OPP sees all the time is that traffic slows and drivers don't stop in time. "Traffic can stop in an instant," he said.